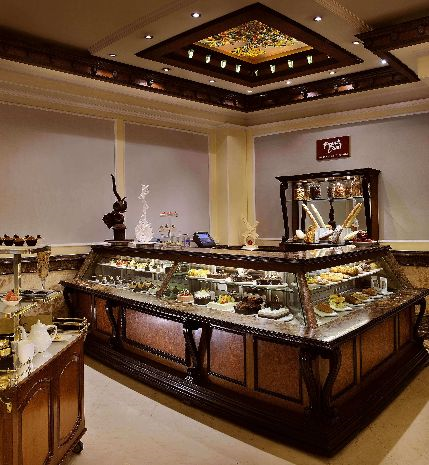 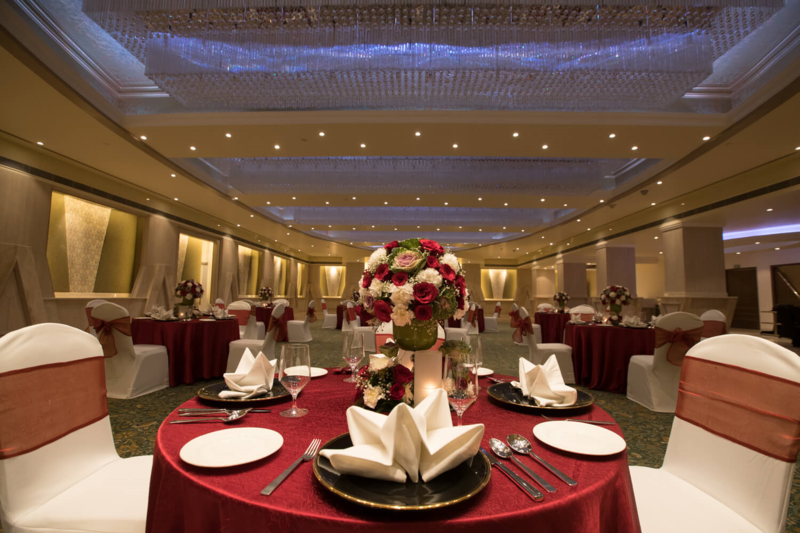 The Suryaa's unparalleled hospitality has grown with each passing year and the hotel continues to strive to make each moment ever so memorable. 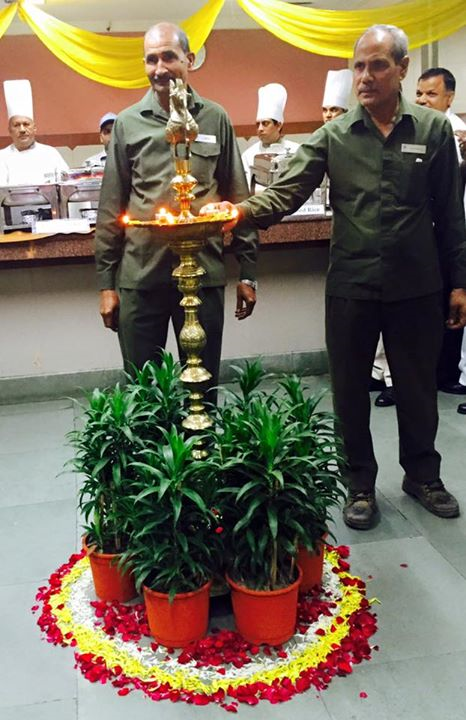 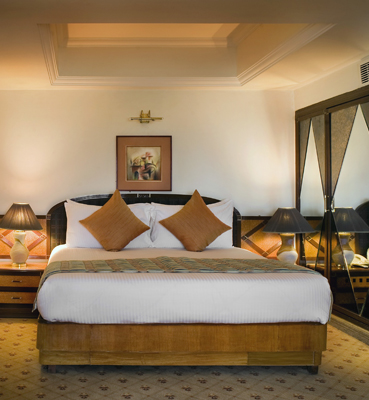 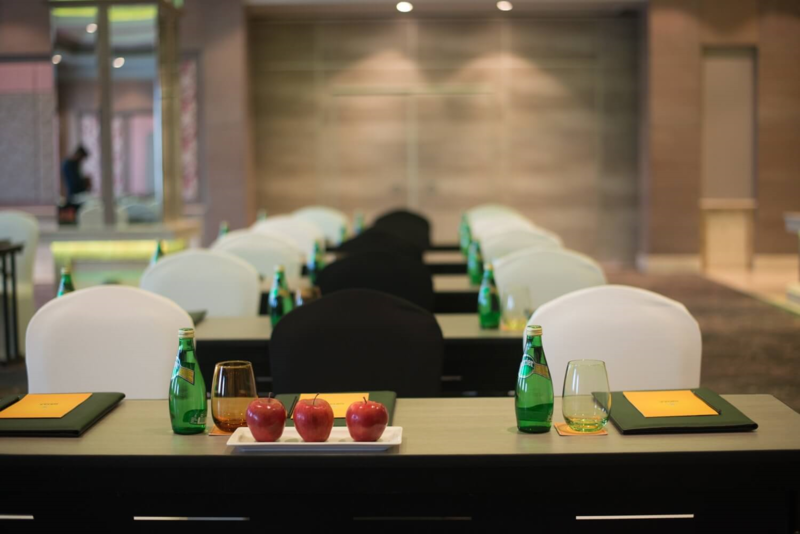 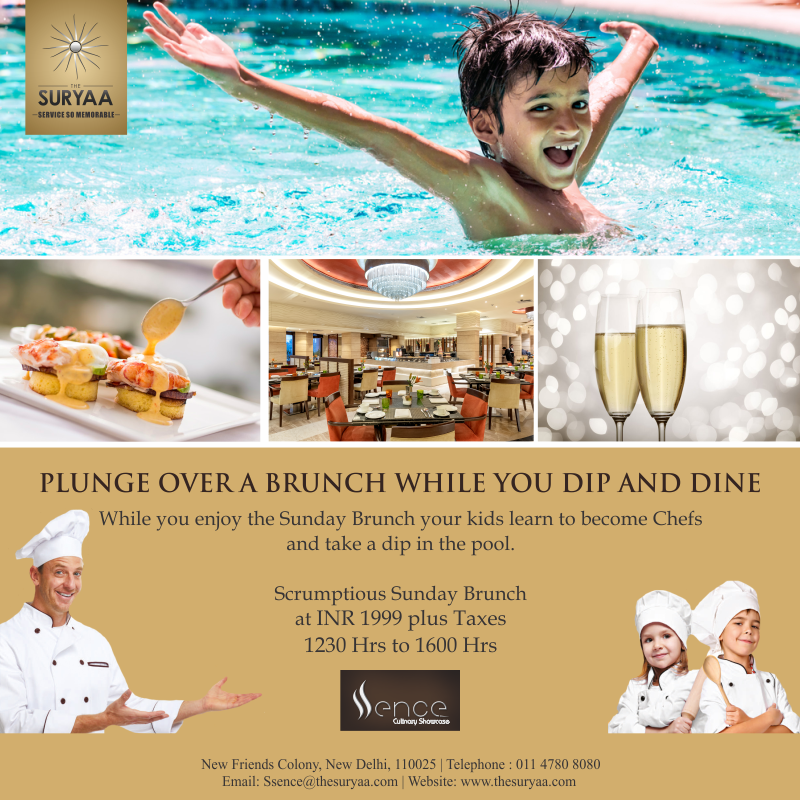 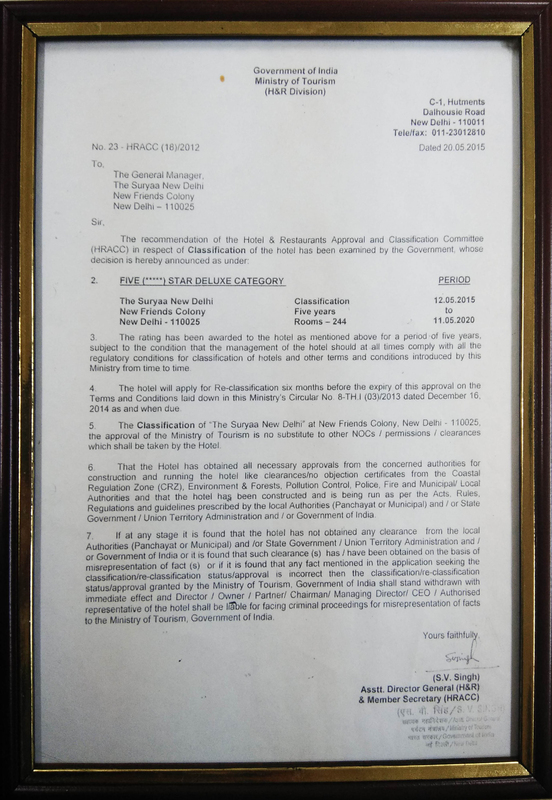 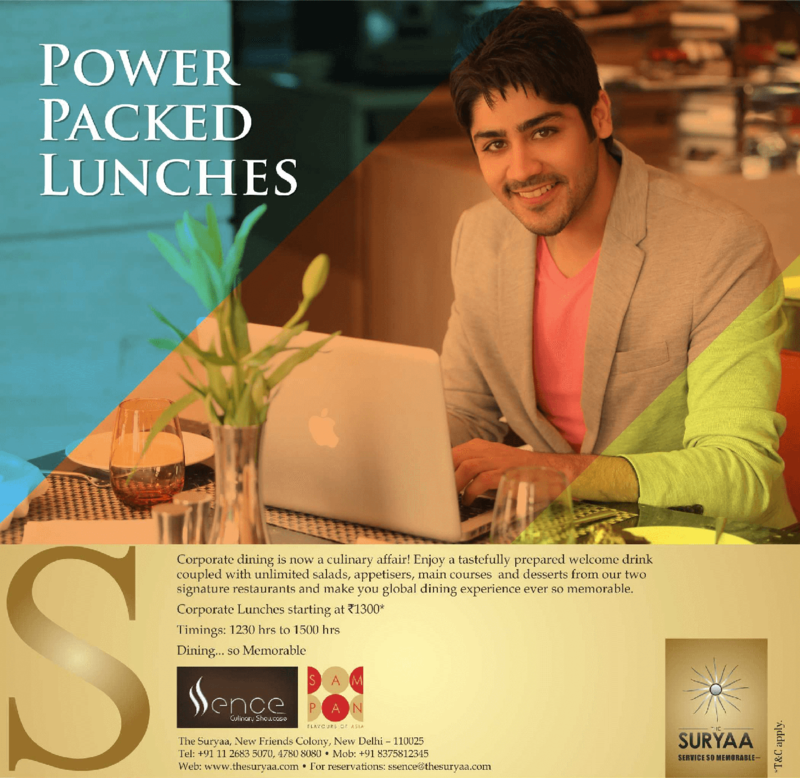 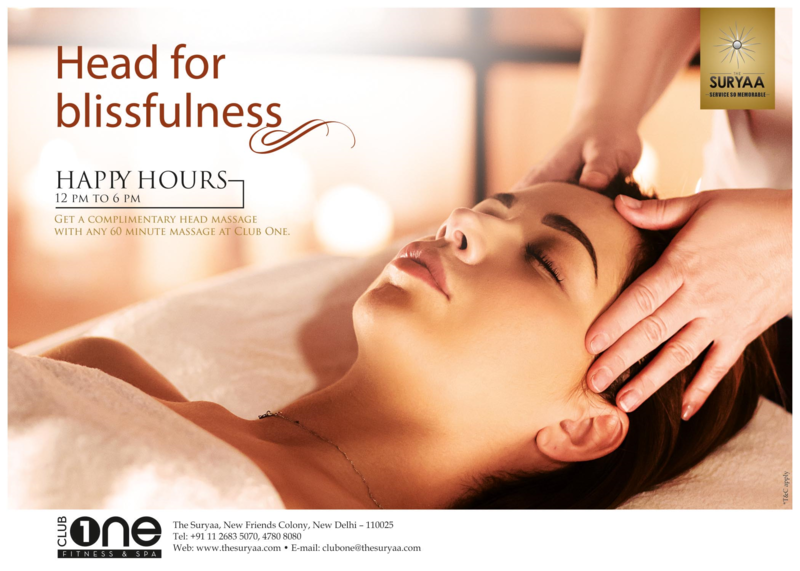 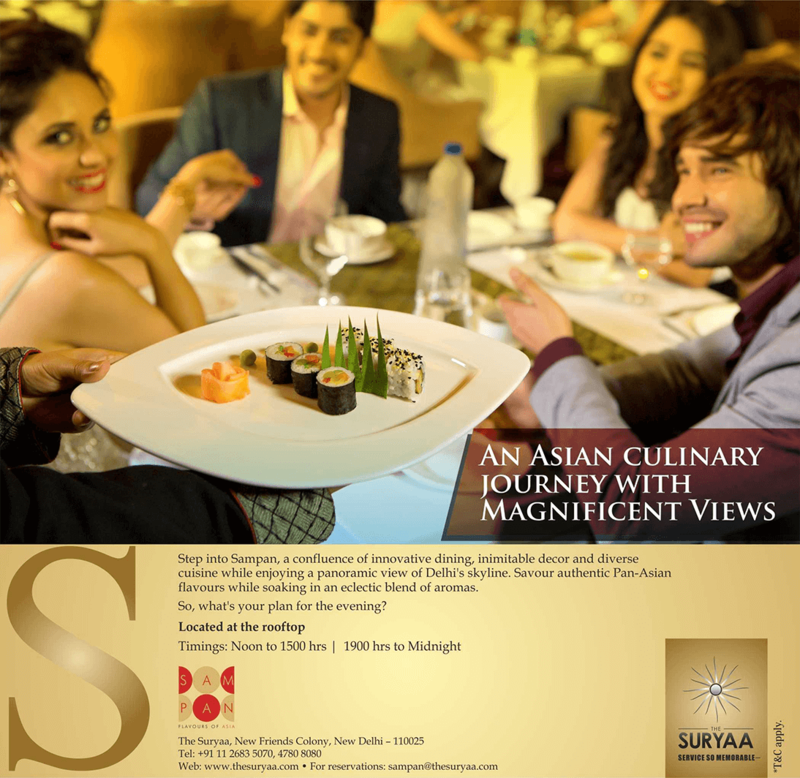 The Suryaa New Delhi epitomizes the finest in hospitality. 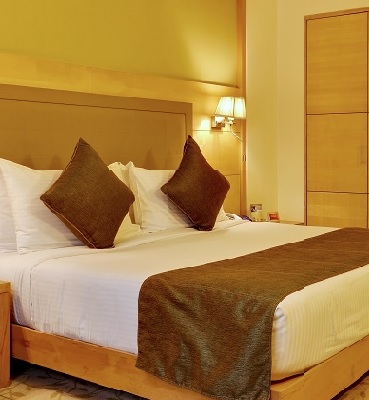 Renowned for its unparalleled warmth and service, the hotel takes pride in offering its guests a stay that comes second only to the comfort of their home. 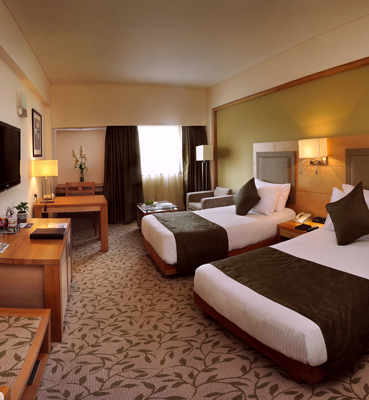 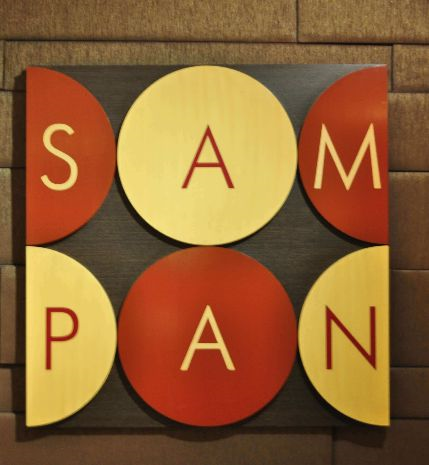 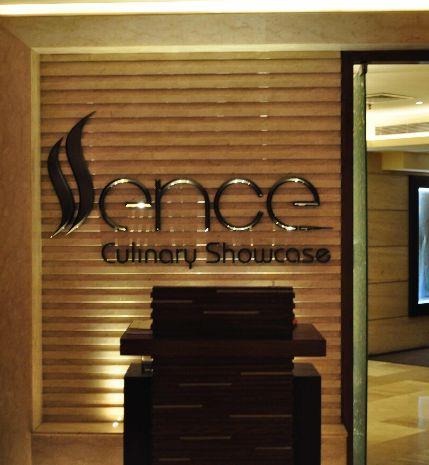 Aesthetically designed with modern furnishings and minimalistic interiors, it provides the ultimate convenience and luxury to make your stay ever so memorable. 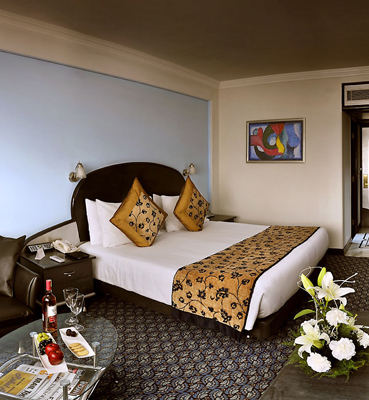 244 well-appointed and elegantly designed guestrooms with the following exclusive features guarantee you a comfortable and relaxing stay. 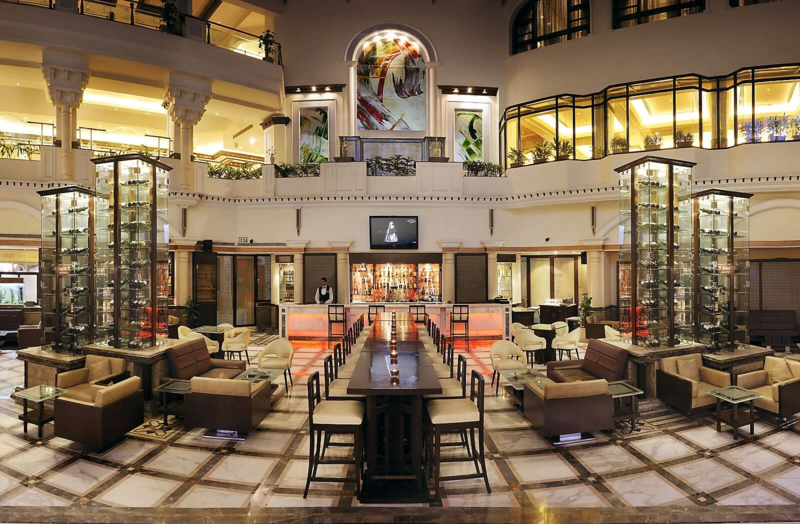 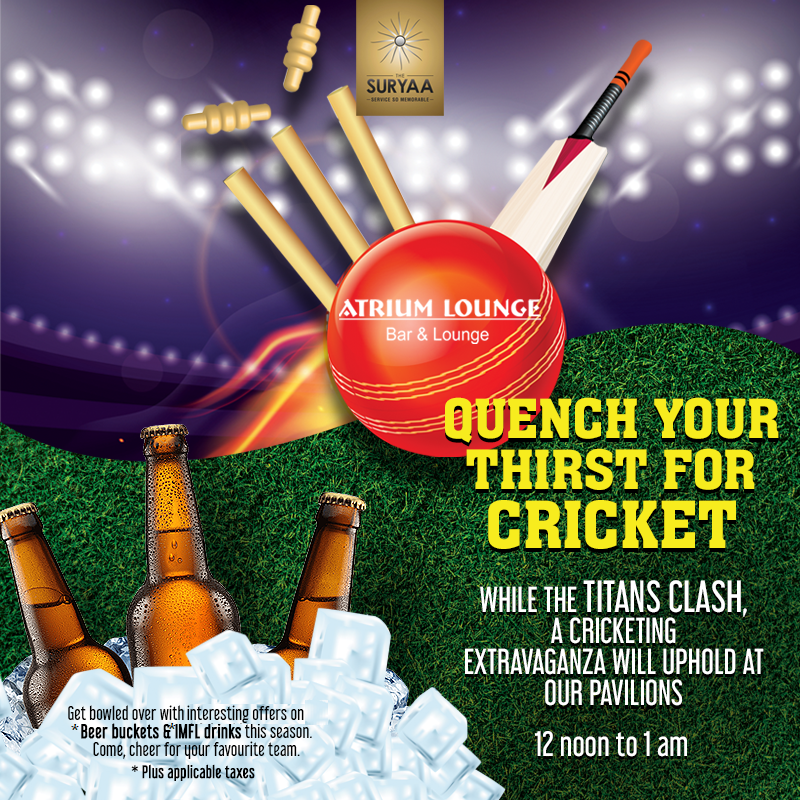 Quench your thirst for cricket at our Atrium Bar & Lounge. 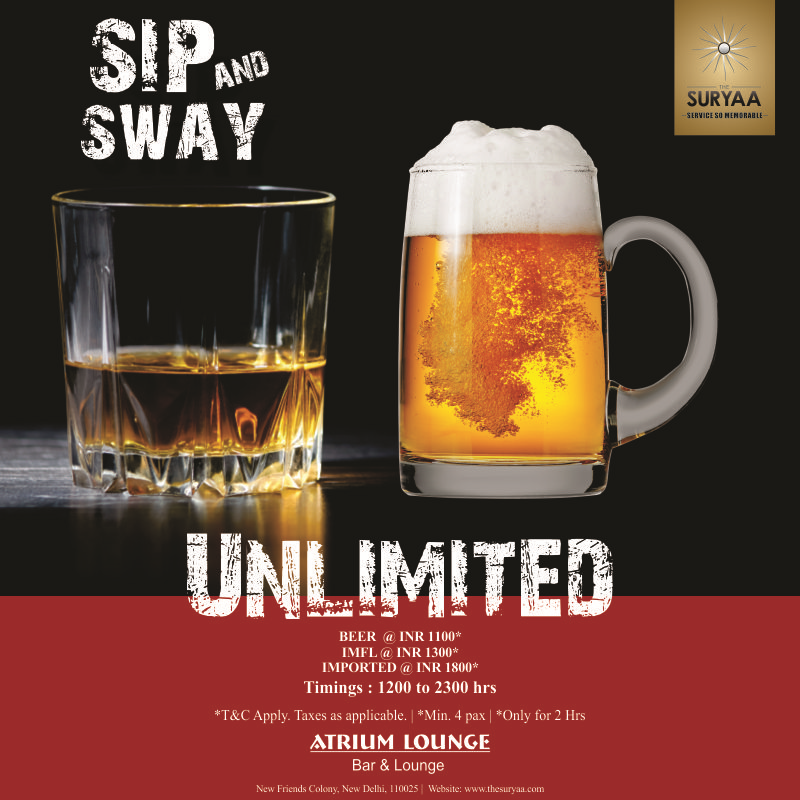 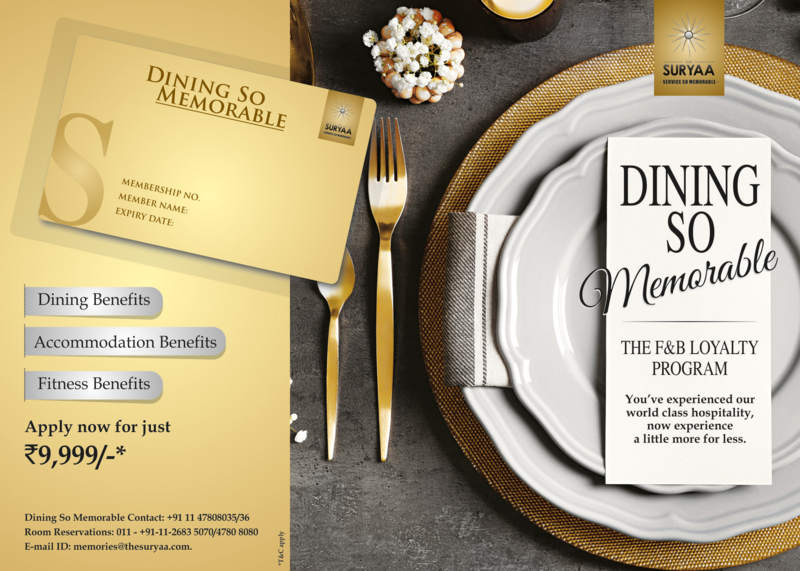 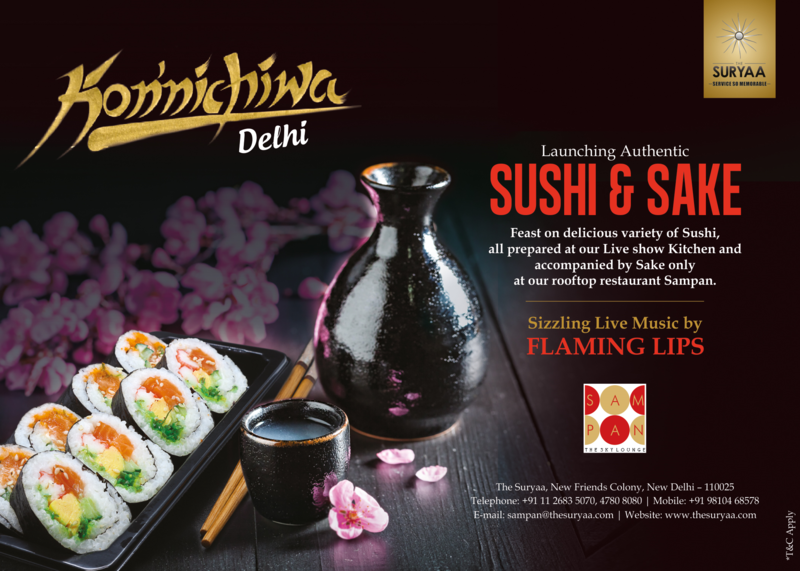 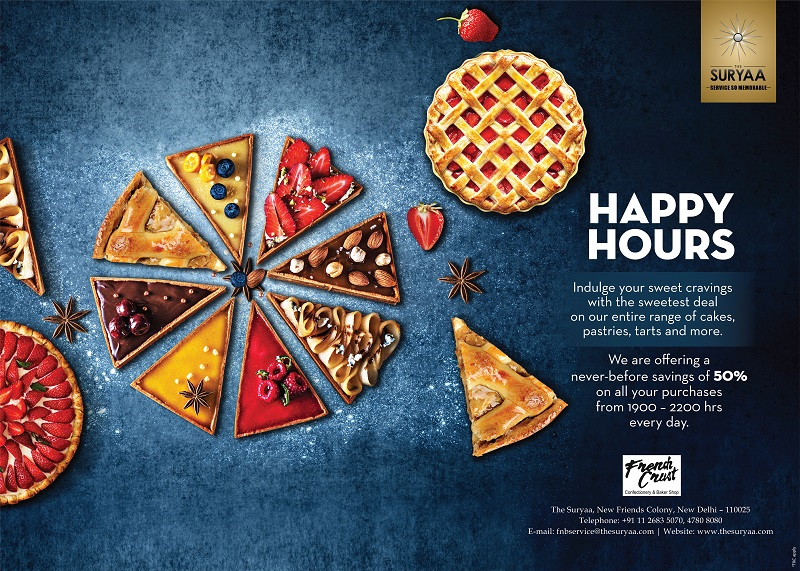 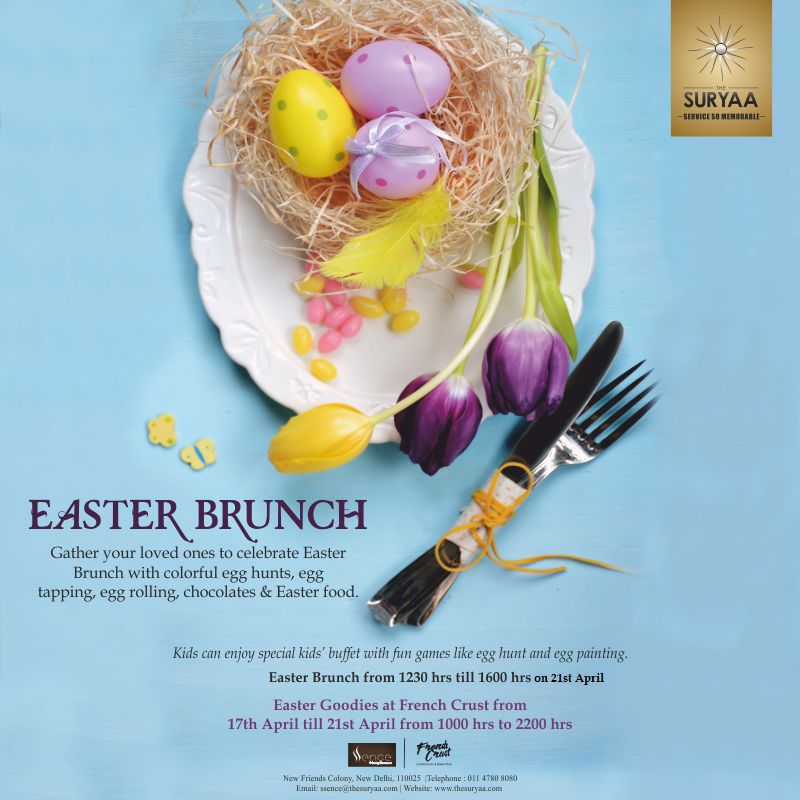 Get bowled over with exciting offers on beverage packages this season. 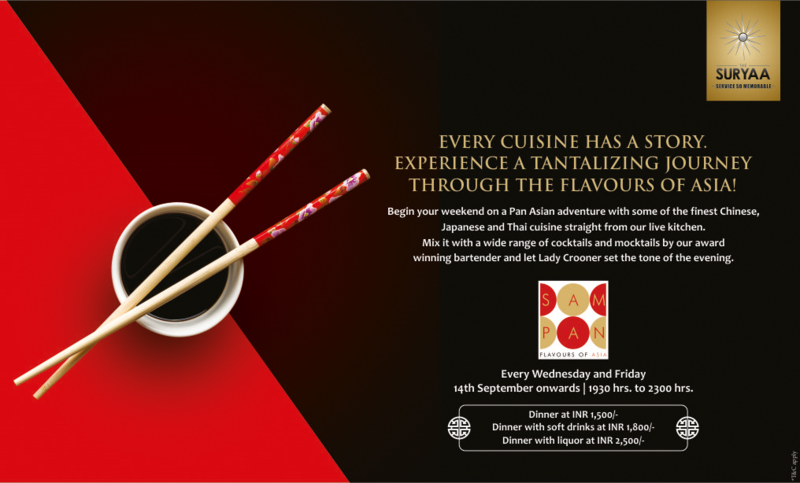 Come, cheer for your favorite team. 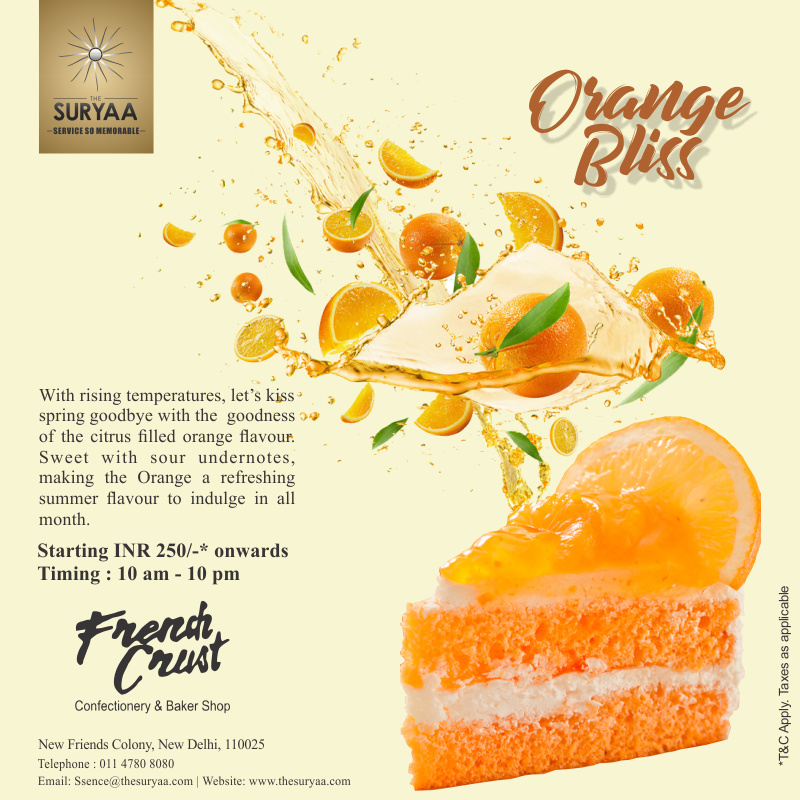 With rising temperature, let’s kiss spring goodbye with the goodness of the citrus filled orange flavor. 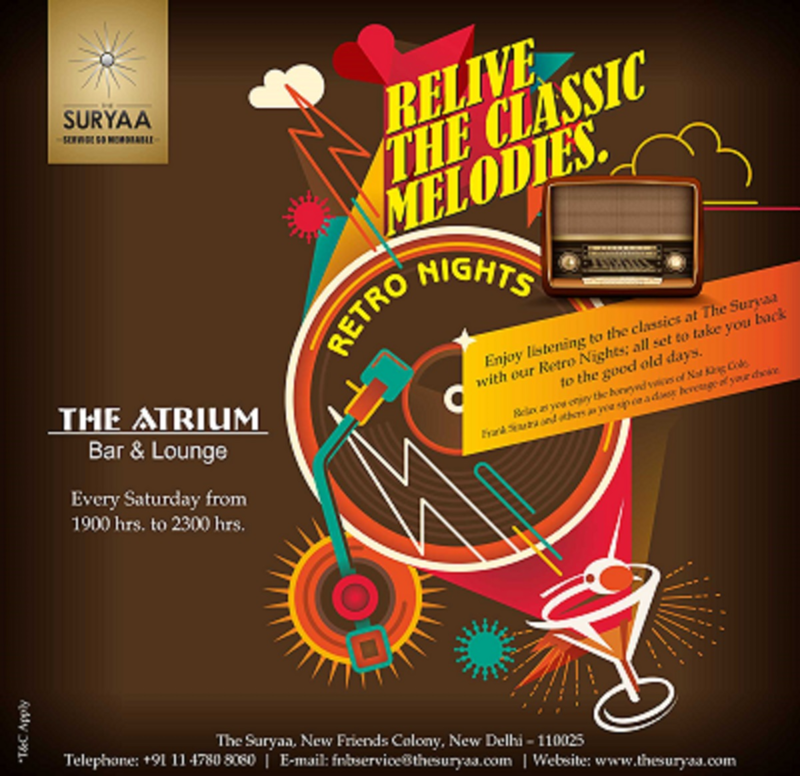 Enjoy listening to the classics at The Suryaa with our Retro Nights; all set to take you back to the good old days. 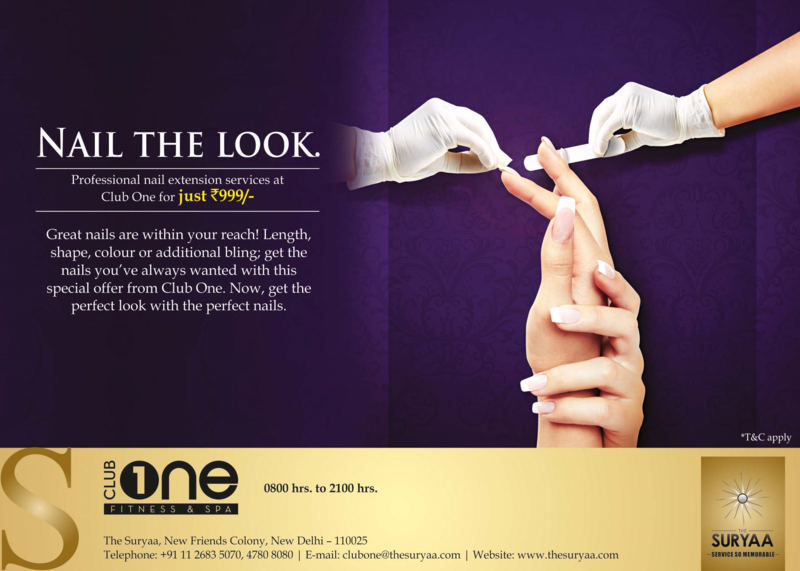 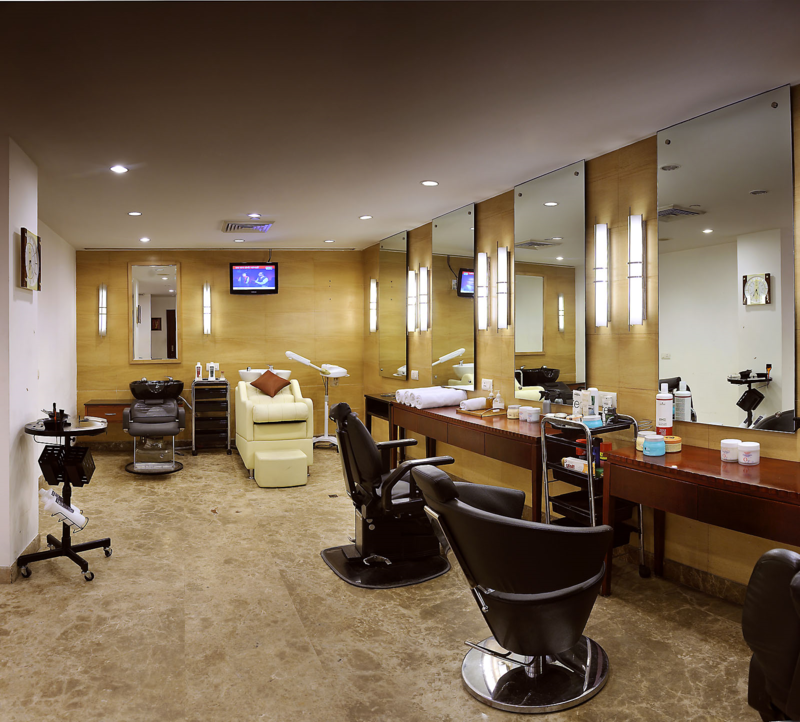 Club One offers Airbrush Makeup by trained professionals so that you can be the real you.